Oakridge BBQ Signature Edition Carne Crosta Steakhouse Rub – Carne Crosta, loosely translated as “Beef Crust” in Portuguese, is exactly what this rub will produce. It excels when cooked over high direct heat, especially on well-marbled cuts of beef. The high cooking temperatures are necessary to release oils in the rich Brazilian coffee, which intertwine with the spices and rendered fat, creating the most sumptuously-crusted steak you’ve ever experienced. Oakridge BBQ’s spice rubs are different. All Oakridge BBQ rubs feature raw, unrefined cane sugar, ultra-high quality herbs and spices and just the right amount of all natural sea salt to perfectly balance each rub's flavor profile. We use absolutely NO MSG, artificial ingredients, preservatives, fillers or anti-caking agents in our spice rubs. And, all of our products are 100% Gluten Free. Oakridge BBQ won first place with a perfect score on pork spare ribs in their very first contest. 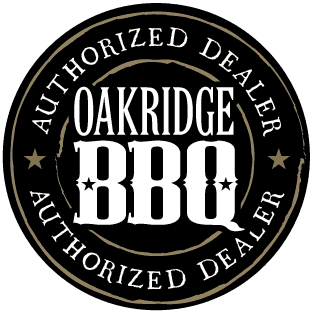 Since then, they have competed in many barbecue contests and placed in the top-ten in at least one category in every contest, Oakridge knows BBQ.